Looking for Commercial Fences – Repair & Install in Newberry FL? We can help! 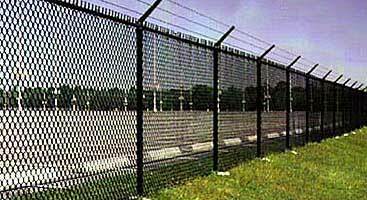 All Florida Enterprises offers a wide range of fencing options. We endeavor to foster personal relationship with each and every customer of ours, offering quality services that have been backed by several years of experience in this field. Some of our popular commercial fencing options include custom built wood fencing, three rail poly vinyl fencing, a wide array of chain link fencing and temporary construction fencing. Depending on which type of fence you require, we can offer a different type of fence that will perfectly meet your needs. We have helped countless clients in Newberry FL as well as other surrounding communities. Do you want to keep your project, construction site or business, safe and private? 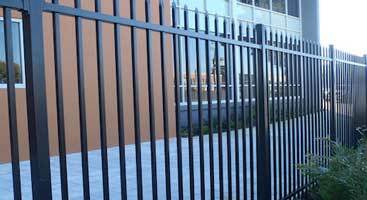 At Commercial Fences – Repair & Install in Newberry FL, we will ascertain your requirements are taken care of related to your commercial fencing inquiry. We know how important it is to trust someone who can keep your property, tenants, and customers protected when it matters most. With a variety of different fencing options, we can guarantee your commercial needs will be taken care of. If you have any concerns or questions regarding any of our commercial fencing related services, please do not hesitate to call us. If you are concerned about your budget limitations, please call us as well, since we are confident to assist you to the best of our ability. We want the absolute best for our customers. No matter how large or small your project may be, we will take the time and effort to pay individualized attention and to customize all our services for you. Please call us today at 352-472-3550 for a free estimate. We provide temporary fencing options to provide added safety and security around roadwork sites, housing sites, construction sites, concerts, special events and festivals. Typically, a temporary fence is constructed from chain link fence paneling that will sit on a stand and is attached together with clamps. This allows for a simple and quick installation process. Our team will deliver as well as set-up a temporary fencing option for you. Once your project is complete, contact our experts, and we will remove the same. Dependable, Trusted & Reputable COMMERCIAL FENCES Service in Florida! Very pleased! Experienced, hard working employees, work completed in a timely manner with a top-notch result. 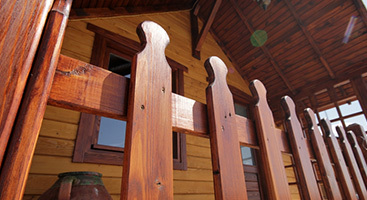 Our fence is beautiful and sturdy and serves its purpose. Accurate estimate, friendly service, a personal touch when telephoning. I will use All Florida Enterprises again if the need arises and highly recommend.